Yahoo! Search Marketing has long failed to innovate at the pace of Google AdWords – with a less sophisticated quality score, more limited negative keyword filtering, and making it quite hard to block many forms of rampant ad syndication & click fraud. Sometimes if you tracked the scam clicks it was possible to get a refund, but even so you couldn’t get a refund for your time. 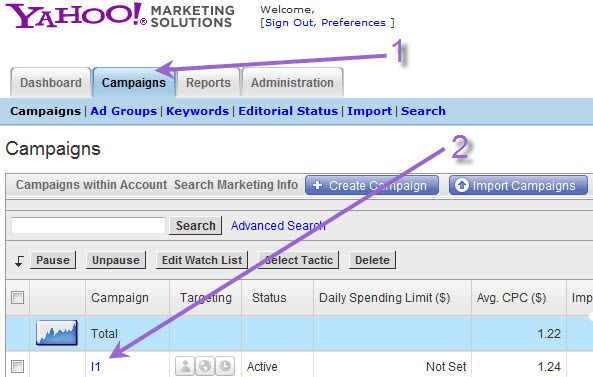 And for that reason (plus falling search marketshare) many PPC advertisers have simply ignored Yahoo! Search Marketing. Panama was the much hyped platform that never delivered, and in October of last year Yahoo! announced that they were going to launch a Search Marketing Desktop editor, but of all the tips, tools, and tutorials one can offer for how to succeed in Yahoo! Search Marketing, the #1 strategy today is to simply block the network syndication offering mystery meat distribution. Up until this past month it was literally impossible to do!!! But now you can, and so Yahoo! might be worth another look if you have written them off in the past. At the end of January, Jonathan Beeston highlighted how in Efficient Frontier‘s latest search marketing data Yahoo!’s syndication network was over 50% of their distribution, and how those clicks were only worth roughly 40% of the value of Yahoo! search clicks. Simply by filtering out the Yahoo! distribution network you are able to filter out most of the fraud and just buy the clean search traffic. How do you filter Yahoo! network traffic? Results will vary by market, but in a Webmaster World thread on this topic one advertiser mentioned that filtering out the partner network increased their quality score and doubled their ad distribution overnight. If you were getting some value from the Yahoo! 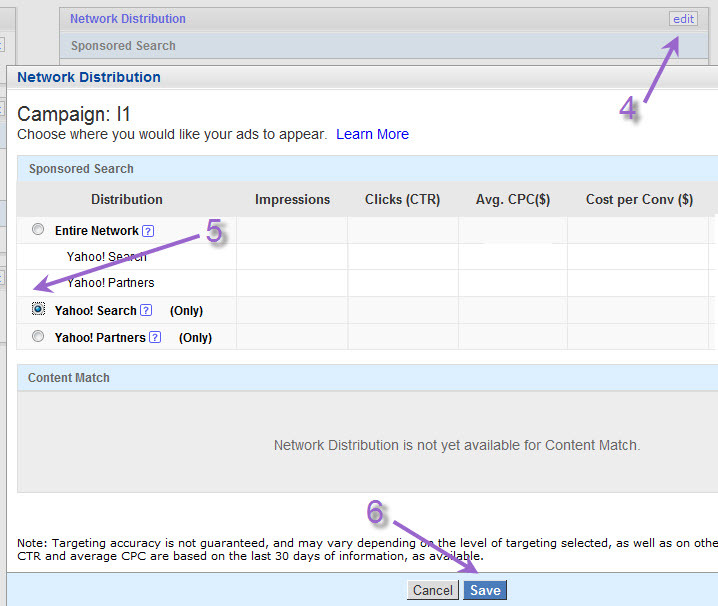 Partners it is worth setting up a separate ad group to target it so you can use lower bids on the partner network and quarantine the often shifty and opportunistic partner network budget from your core Yahoo! Search Marketing ad budget. Have a Yahoo! Search Marketing Coupon? Yes there are many Yahoo! Search Marketing coupons to be had. Here is one, which is distributed through CJ: Yahoo! Sponsored Search connects businesses and customers online. Sign up and get a $25 credit. If you hunt around the web you might be able to find other coupons as well. And some books on PPC also contain various discount vouchers & promo codes. If you find other discounts please post them in the comments below. Thanks for the pick-up on my post Gio. I should explain that the data I used shouldn’t be considered as a representative view of all traffic from either Yahoo or Google. It’s just one campaign for one UK advertiser. No doubt I’d get different results if I took a much bigger data set. 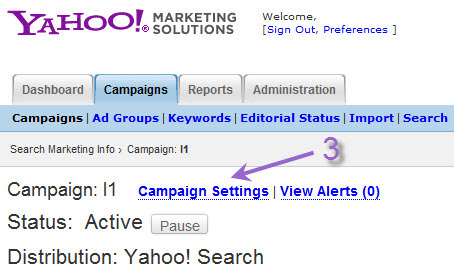 But hopefully it illustrates that traffic labelled as ‘Yahoo’ or ‘Google’ is a mixed bag, and smart SEMs will have to use the features you’ve described above to get better results from their campaigns. I’ll see whether we have the appetite/resources to build out more. It’s based on a much bigger data set, and analysed by Shay O’Reilly; a proper stats guy, unlike me! How long do I have to tolerate all the following bulshit supposed to be originated from Yahoo? Isn’t there anybody responsible to bring those people to Court, for trying to deceiving me into revealing my password which should then be used against my will and without my knowledge to all my contacts for illegal purposes? We are really sorry for any inconvinience this might cause you. Due to the congestion in all Yahoo! account users, Yahoo! will be shuting down all unused accounts. In order to avoid the deactivation of your account, you will have to confirm your e-mail by filling your Login Info below by clicking the reply button. After you must have followed the instructions on the sheet, your Yahoo! account will not be interrupted and will continue as normal. Thank you for your usual co-operation. We apologize for any inconvinience. We are really sorry for any inconvinience this might cause you. WHT YAHOO CAN’T TAKE LEGAL MEASURES AGAINST THEM AND BRING THEM TO COURT? Even if our business is a traditional brick-and-mortar store and we don’t sell anything online, we can still use our advertising distribution tactics. Doesn’t matter who you have your ppc campaign with: yahoo, google, you should expect only 20% or so of you clicks come from the legitimate customers. 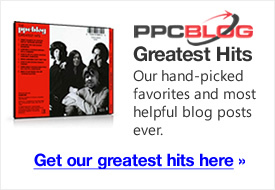 Loosing you money to fraud in ppc campaigns is just the cost of doing business. It is not just the fraud due poor quality software, it is competitors, checking out another competitor, sales people clicking the first link trying to sell you something. PPC can still be sometimes cheaper than trying to optimize a page for a low volume keyword.